We're getting closer and closer to the first day of summer. Last year, in order to prepare, we rounded up the best young adult beach reads, and Billboard even had a chart for the song of the summer. This go round, Teen Vogue is taking on which stars are going to be the stars of the summer. 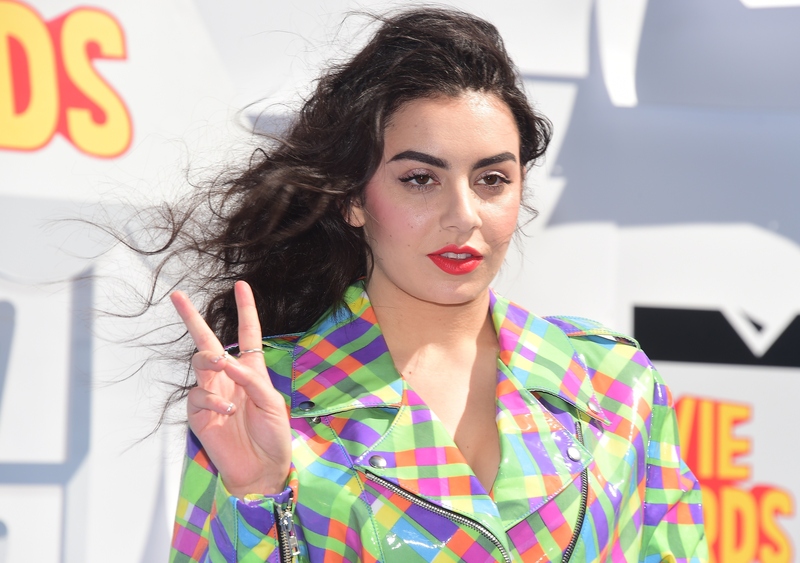 According to Teen Vogue , Charli XCX and Nat Wolff are the upcoming season's "Cool Kids," and we've got to say, the cover of the glossy screams All American cool. Though we doubt you've missed out on the news that both Charli and Nat are completely blowing up right, let's recap for kicks and giggles. Just two weeks ago, Charli dropped "Diamonds." The song was created in collaboration with the talented Giorgio Moroder, and it's super catchy. Plus, back in December, the singer performed at Saturday Night Live and totally nailed it. Now, she's set to tour with Jack Antonoff this summer and kill it on the road. While Nat's not a singer like Charli, he's equally as talented. The actor is probably best known for this work with Nickelodeon, but since those days, he's moved on to star in the mega successful adaptation of John Green's novel The Fault in Our Stars, and this summer, he's starring in yet another Green inspired flick, Paper Towns, with the stunning and talented Cara Delevingne. Basically, these two are about to have massively successful summers on top of their already burgeoning careers. Teen Vogue's cover shows the pair of talented stars rocking what seems to be some seriously awesome retro fashion. Perhaps they were going for that Grease type of cool since Charli's hair is pulled up into a loose french twist, and her winged eye liner is totally on point. While we don't think Nat's jacket is leather, it's definitely got a more structured look, but it's the white shirt underneath that's giving us some Danny Zuko vibes. For the cover story, the glossy had author John Green interview Nat while tour mate Jack Antonoff spoke with Charli. Having the star's friends interview them was a genius idea because now we can't wait to get our hands on the issue.